3700901 520 JCB 520 Telescopic handler. Spare Parts Catalog. Service (workshop) Manual. Operator's Instruction Manual. 3700902 526 JCB 526 Telescopic handler. Spare Parts Catalog. Service (workshop) Manual. Operator's Instruction Manual. 3700903 530 JCB 530 Telescopic handler. Spare Parts Catalog. Service (workshop) Manual. Operator's Instruction Manual. 3700904 532 JCB 532 Telescopic handler. Spare Parts Catalog. Service (workshop) Manual. Operator's Instruction Manual. 3700905 535 JCB 535 Telescopic handler. Spare Parts Catalog. Service (workshop) Manual. Operator's Instruction Manual. 3700906 537 JCB 537 Telescopic handler. Spare Parts Catalog. Service (workshop) Manual. Operator's Instruction Manual. 3700907 540 JCB 540 Telescopic handler. Spare Parts Catalog. Service (workshop) Manual. Operator's Instruction Manual. 3700908 550 JCB 550 Telescopic handler. Spare Parts Catalog. Service (workshop) Manual. Operator's Instruction Manual. 3700909 504B JCB 504B Telescopic handler. Spare Parts Catalog. Service (workshop) Manual. Operator's Instruction Manual. 3700910 505-19 JCB 505-19 Telescopic handler. Spare Parts Catalog. Service (workshop) Manual. Operator's Instruction Manual. 3700911 505-22 JCB 505-22 Telescopic handler. Spare Parts Catalog. Service (workshop) Manual. Operator's Instruction Manual. 3700912 506-36 JCB 506-36 Telescopic handler. Spare Parts Catalog. Service (workshop) Manual. Operator's Instruction Manual. 3700913 506B JCB 506B Telescopic handler. Spare Parts Catalog. Service (workshop) Manual. Operator's Instruction Manual. 3700914 506C JCB 506C Telescopic handler. Spare Parts Catalog. Service (workshop) Manual. Operator's Instruction Manual. 3700915 506C HL JCB 506C HL Telescopic handler. Spare Parts Catalog. Service (workshop) Manual. Operator's Instruction Manual. 3700916 506HL JCB 506HL Telescopic handler. Spare Parts Catalog. Service (workshop) Manual. Operator's Instruction Manual. 3700917 507-42 JCB 507-42 Telescopic handler. Spare Parts Catalog. Service (workshop) Manual. Operator's Instruction Manual. 3700918 508-40 JCB 508-40 Telescopic handler. Spare Parts Catalog. Service (workshop) Manual. Operator's Instruction Manual. 3700919 508C JCB 508C Telescopic handler. Spare Parts Catalog. Service (workshop) Manual. Operator's Instruction Manual. 3700920 509-42 JCB 509-42 Telescopic handler. Spare Parts Catalog. Service (workshop) Manual. Operator's Instruction Manual. 3700921 510-40 JCB 510-40 Telescopic handler. Spare Parts Catalog. Service (workshop) Manual. Operator's Instruction Manual. 3700922 510-56 JCB 510-56 Telescopic handler. Spare Parts Catalog. Service (workshop) Manual. Operator's Instruction Manual. 3700923 512-56 JCB 512-56 Telescopic handler. Spare Parts Catalog. Service (workshop) Manual. Operator's Instruction Manual. 3700924 515-40 JCB 515-40 Telescopic handler. Spare Parts Catalog. Service (workshop) Manual. Operator's Instruction Manual. 3700925 515-40 GroundCare JCB 515-40 GroundCare Telescopic handler. Spare Parts Catalog. Service (workshop) Manual. Operator's Instruction Manual. 3700926 520 LE JCB 520 LE Telescopic handler. Spare Parts Catalog. Service (workshop) Manual. Operator's Instruction Manual. 3700927 520-2 JCB 520-2 Telescopic handler. Spare Parts Catalog. Service (workshop) Manual. Operator's Instruction Manual. 3700928 520-4 JCB 520-4 Telescopic handler. Spare Parts Catalog. Service (workshop) Manual. Operator's Instruction Manual. 3700929 520-40 JCB 520-40 Telescopic handler. Spare Parts Catalog. Service (workshop) Manual. Operator's Instruction Manual. 3700930 520-50 JCB 520-50 Telescopic handler. Spare Parts Catalog. Service (workshop) Manual. Operator's Instruction Manual. 3700931 520-55 JCB 520-55 Telescopic handler. Spare Parts Catalog. Service (workshop) Manual. Operator's Instruction Manual. 3700932 520M-2 JCB 520M-2 Telescopic handler. Spare Parts Catalog. Service (workshop) Manual. Operator's Instruction Manual. 3700933 520M-4 JCB 520M-4 Telescopic handler. Spare Parts Catalog. Service (workshop) Manual. Operator's Instruction Manual. 3700934 520S JCB 520S Telescopic handler. Spare Parts Catalog. Service (workshop) Manual. Operator's Instruction Manual. 3700935 520S LE JCB 520S LE Telescopic handler. Spare Parts Catalog. Service (workshop) Manual. Operator's Instruction Manual. 3700936 524-40 JCB 524-40 Telescopic handler. Spare Parts Catalog. Service (workshop) Manual. Operator's Instruction Manual. 3700937 524-50 JCB 524-50 Telescopic handler. Spare Parts Catalog. Service (workshop) Manual. Operator's Instruction Manual. 3700938 525 LE JCB 525 LE Telescopic handler. Spare Parts Catalog. Service (workshop) Manual. Operator's Instruction Manual. 3700939 525-2 JCB 525-2 Telescopic handler. Spare Parts Catalog. Service (workshop) Manual. Operator's Instruction Manual. 3700940 525-4 JCB 525-4 Telescopic handler. Spare Parts Catalog. Service (workshop) Manual. Operator's Instruction Manual. 3700941 525-50 JCB 525-50 Telescopic handler. Spare Parts Catalog. Service (workshop) Manual. Operator's Instruction Manual. 3700942 525-50S JCB 525-50S Telescopic handler. Spare Parts Catalog. Service (workshop) Manual. Operator's Instruction Manual. 3700943 525-58 JCB 525-58 Telescopic handler. Spare Parts Catalog. Service (workshop) Manual. Operator's Instruction Manual. 3700944 525-67 JCB 525-67 Telescopic handler. Spare Parts Catalog. Service (workshop) Manual. Operator's Instruction Manual. 3700945 525B-2 JCB 525B-2 Telescopic handler. Spare Parts Catalog. Service (workshop) Manual. Operator's Instruction Manual. 3700946 525B-4 JCB 525B-4 Telescopic handler. Spare Parts Catalog. Service (workshop) Manual. Operator's Instruction Manual. 3700947 525B-HL JCB 525B-HL Telescopic handler. Spare Parts Catalog. Service (workshop) Manual. Operator's Instruction Manual. 3700948 525S JCB 525S Telescopic handler. Spare Parts Catalog. Service (workshop) Manual. Operator's Instruction Manual. 3700949 526 LE JCB 526 LE Telescopic handler. Spare Parts Catalog. Service (workshop) Manual. Operator's Instruction Manual. 3700950 526-55 JCB 526-55 Telescopic handler. Spare Parts Catalog. Service (workshop) Manual. Operator's Instruction Manual. 3700951 526-56 JCB 526-56 Telescopic handler. Spare Parts Catalog. Service (workshop) Manual. Operator's Instruction Manual. 3700952 526S JCB 526S Telescopic handler. Spare Parts Catalog. Service (workshop) Manual. Operator's Instruction Manual. 3700953 526S LE JCB 526S LE Telescopic handler. Spare Parts Catalog. Service (workshop) Manual. Operator's Instruction Manual. 3700954 527-55 JCB 527-55 Telescopic handler. Spare Parts Catalog. Service (workshop) Manual. Operator's Instruction Manual. 3700955 527-58 JCB 527-58 Telescopic handler. Spare Parts Catalog. Service (workshop) Manual. Operator's Instruction Manual. 3700956 527-58 Tier 3 JCB 527-58 Tier 3 Telescopic handler. Spare Parts Catalog. Service (workshop) Manual. Operator's Instruction Manual. 3700957 527-67 JCB 527-67 Telescopic handler. Spare Parts Catalog. Service (workshop) Manual. Operator's Instruction Manual. 3700958 528 AG JCB 528 AG Telescopic handler. Spare Parts Catalog. Service (workshop) Manual. Operator's Instruction Manual. 3700959 528-70 JCB 528-70 Telescopic handler. Spare Parts Catalog. Service (workshop) Manual. Operator's Instruction Manual. 3700960 528S JCB 528S Telescopic handler. Spare Parts Catalog. Service (workshop) Manual. Operator's Instruction Manual. 3700961 530 FS PLUS JCB 530 FS PLUS Telescopic handler. Spare Parts Catalog. Service (workshop) Manual. Operator's Instruction Manual. 3700962 530 LE JCB 530 LE Telescopic handler. Spare Parts Catalog. Service (workshop) Manual. Operator's Instruction Manual. 3700963 530 SUPER JCB 530 SUPER Telescopic handler. Spare Parts Catalog. Service (workshop) Manual. Operator's Instruction Manual. 3700964 530 SWAY JCB 530 SWAY Telescopic handler. Spare Parts Catalog. Service (workshop) Manual. Operator's Instruction Manual. 3700965 530-110 JCB 530-110 Telescopic handler. Spare Parts Catalog. Service (workshop) Manual. Operator's Instruction Manual. 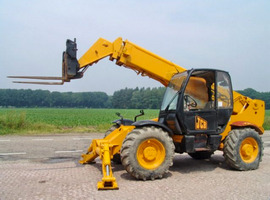 3700966 530-110 LE JCB 530-110 LE Telescopic handler. Spare Parts Catalog. Service (workshop) Manual. Operator's Instruction Manual. 3700967 530-120 JCB 530-120 Telescopic handler. Spare Parts Catalog. Service (workshop) Manual. Operator's Instruction Manual. 3700968 530-3 JCB 530-3 Telescopic handler. Spare Parts Catalog. Service (workshop) Manual. Operator's Instruction Manual. 3700969 530-4 JCB 530-4 Telescopic handler. Spare Parts Catalog. Service (workshop) Manual. Operator's Instruction Manual. 3700970 530-67 JCB 530-67 Telescopic handler. Spare Parts Catalog. Service (workshop) Manual. Operator's Instruction Manual. 3700971 530-70 JCB 530-70 Telescopic handler. Spare Parts Catalog. Service (workshop) Manual. Operator's Instruction Manual. 3700972 530-95 JCB 530-95 Telescopic handler. Spare Parts Catalog. Service (workshop) Manual. Operator's Instruction Manual. 3700973 530B HL-2 JCB 530B HL-2 Telescopic handler. Spare Parts Catalog. Service (workshop) Manual. Operator's Instruction Manual. 3700974 530B HL-4 JCB 530B HL-4 Telescopic handler. Spare Parts Catalog. Service (workshop) Manual. Operator's Instruction Manual. 3700975 530B-2 JCB 530B-2 Telescopic handler. Spare Parts Catalog. Service (workshop) Manual. Operator's Instruction Manual. 3700976 530B-4 JCB 530B-4 Telescopic handler. Spare Parts Catalog. Service (workshop) Manual. Operator's Instruction Manual. 3700977 530B-4 HL JCB 530B-4 HL Telescopic handler. Spare Parts Catalog. Service (workshop) Manual. Operator's Instruction Manual. 3700978 530B-HL JCB 530B-HL Telescopic handler. Spare Parts Catalog. Service (workshop) Manual. Operator's Instruction Manual. 3700979 530S JCB 530S Telescopic handler. Spare Parts Catalog. Service (workshop) Manual. Operator's Instruction Manual. 3700980 531-70 JCB 531-70 Telescopic handler. Spare Parts Catalog. Service (workshop) Manual. Operator's Instruction Manual. 3700981 531-70 AG JCB 531-70 AG Telescopic handler. Spare Parts Catalog. Service (workshop) Manual. Operator's Instruction Manual. 3700982 531-70 Tier 3 JCB 531-70 Tier 3 Telescopic handler. Spare Parts Catalog. Service (workshop) Manual. Operator's Instruction Manual. 3700983 532 LE JCB 532 LE Telescopic handler. Spare Parts Catalog. Service (workshop) Manual. Operator's Instruction Manual. 3700984 532H JCB 532H Telescopic handler. Spare Parts Catalog. Service (workshop) Manual. Operator's Instruction Manual. 3700985 532H LE JCB 532H LE Telescopic handler. Spare Parts Catalog. Service (workshop) Manual. Operator's Instruction Manual. 3700986 532-120 JCB 532-120 Telescopic handler. Spare Parts Catalog. Service (workshop) Manual. Operator's Instruction Manual. 3700987 533-105 JCB 533-105 Telescopic handler. Spare Parts Catalog. Service (workshop) Manual. Operator's Instruction Manual. 3700988 535 FS JCB 535 FS Telescopic handler. Spare Parts Catalog. Service (workshop) Manual. Operator's Instruction Manual. 3700989 533-105 Tier 3 JCB 533-105 Tier 3 Telescopic handler. Spare Parts Catalog. Service (workshop) Manual. Operator's Instruction Manual. 3700990 535-60 JCB 535-60 Telescopic handler. Spare Parts Catalog. Service (workshop) Manual. Operator's Instruction Manual. 3700991 535-67 JCB 535-67 Telescopic handler. Spare Parts Catalog. Service (workshop) Manual. Operator's Instruction Manual. 3700992 535-95 JCB 535-95 Telescopic handler. Spare Parts Catalog. Service (workshop) Manual. Operator's Instruction Manual. 3700993 535S TELEAGRI JCB 535S TELEAGRI Telescopic handler. Spare Parts Catalog. Service (workshop) Manual. Operator's Instruction Manual. 3700994 535-95 Tier 3 JCB 535-95 Tier 3 Telescopic handler. Spare Parts Catalog. Service (workshop) Manual. Operator's Instruction Manual. 3700995 535-125 JCB 535-125 Telescopic handler. Spare Parts Catalog. Service (workshop) Manual. Operator's Instruction Manual. 3700996 535-140 JCB 535-140 Telescopic handler. Spare Parts Catalog. Service (workshop) Manual. Operator's Instruction Manual. 3700997 536-60 JCB 536-60 Telescopic handler. Spare Parts Catalog. Service (workshop) Manual. Operator's Instruction Manual. 3700998 536-60 Tier 3 JCB 536-60 Tier 3 Telescopic handler. Spare Parts Catalog. Service (workshop) Manual. Operator's Instruction Manual. 3700999 536-70 JCB 536-70 Telescopic handler. Spare Parts Catalog. Service (workshop) Manual. Operator's Instruction Manual. 3701000 536-70 AG JCB 536-70 AG Telescopic handler. Spare Parts Catalog. Service (workshop) Manual. Operator's Instruction Manual. 3701001 537-120 JCB 537-120 Telescopic handler. Spare Parts Catalog. Service (workshop) Manual. Operator's Instruction Manual. 3701002 537-130 JCB 537-130 Telescopic handler. Spare Parts Catalog. Service (workshop) Manual. Operator's Instruction Manual. 3701003 537-135 JCB 537-135 Telescopic handler. Spare Parts Catalog. Service (workshop) Manual. Operator's Instruction Manual. 3701004 537H JCB 537H Telescopic handler. Spare Parts Catalog. Service (workshop) Manual. Operator's Instruction Manual. 3701005 537H LE JCB 537H LE Telescopic handler. Spare Parts Catalog. Service (workshop) Manual. Operator's Instruction Manual. 3701006 537LE JCB 537LE Telescopic handler. Spare Parts Catalog. Service (workshop) Manual. Operator's Instruction Manual. 3701007 540 FS PLUS JCB 540 FS PLUS Telescopic handler. Spare Parts Catalog. Service (workshop) Manual. Operator's Instruction Manual. 3701008 540 LE JCB 540 LE Telescopic handler. Spare Parts Catalog. Service (workshop) Manual. Operator's Instruction Manual. 3701009 540 SUPER JCB 540 SUPER Telescopic handler. Spare Parts Catalog. Service (workshop) Manual. Operator's Instruction Manual. 3701010 540S JCB 540S Telescopic handler. Spare Parts Catalog. Service (workshop) Manual. Operator's Instruction Manual. 3701011 540S X JCB 540S X Telescopic handler. Spare Parts Catalog. Service (workshop) Manual. Operator's Instruction Manual. 3701012 540S XL JCB 540S XL Telescopic handler. Spare Parts Catalog. Service (workshop) Manual. Operator's Instruction Manual. 3701013 540-70 JCB 540-70 Telescopic handler. Spare Parts Catalog. Service (workshop) Manual. Operator's Instruction Manual. 3701014 540-120 JCB 540-120 Telescopic handler. Spare Parts Catalog. Service (workshop) Manual. Operator's Instruction Manual. 3701015 540-140 JCB 540-140 Telescopic handler. Spare Parts Catalog. Service (workshop) Manual. Operator's Instruction Manual. 3701016 540-170 JCB 540-170 Telescopic handler. Spare Parts Catalog. Service (workshop) Manual. Operator's Instruction Manual. 3701017 540B-2 JCB 540B-2 Telescopic handler. Spare Parts Catalog. Service (workshop) Manual. Operator's Instruction Manual. 3701018 540B-4 JCB 540B-4 Telescopic handler. Spare Parts Catalog. Service (workshop) Manual. Operator's Instruction Manual. 3701019 541-70 JCB 541-70 Telescopic handler. Spare Parts Catalog. Service (workshop) Manual. Operator's Instruction Manual. 3701020 541-70 AG JCB 541-70 AG Telescopic handler. Spare Parts Catalog. Service (workshop) Manual. Operator's Instruction Manual. 3701021 541-70 Tier 3 JCB 541-70 Tier 3 Telescopic handler. Spare Parts Catalog. Service (workshop) Manual. Operator's Instruction Manual. 3701022 550 LE JCB 550 LE Telescopic handler. Spare Parts Catalog. Service (workshop) Manual. Operator's Instruction Manual. 3701023 550-80 JCB 550-80 Telescopic handler. Spare Parts Catalog. Service (workshop) Manual. Operator's Instruction Manual. 3701024 550-140 JCB 550-140 Telescopic handler. Spare Parts Catalog. Service (workshop) Manual. Operator's Instruction Manual. 3701025 550-170 JCB 550-170 Telescopic handler. Spare Parts Catalog. Service (workshop) Manual. Operator's Instruction Manual. 3701026 5508 JCB 5508 Telescopic handler. Spare Parts Catalog. Service (workshop) Manual. Operator's Instruction Manual. 3701028 TLT 20D Teletruk JCB TLT 20D Teletruk. Spare Parts Catalog. Service (workshop) Manual. Operator's Instruction Manual. 3701029 TLT 20G Teletruk JCB TLT 20G Teletruk. Spare Parts Catalog. Service (workshop) Manual. Operator's Instruction Manual. 3701030 TLT 25D Teletruk JCB TLT 25D Teletruk. Spare Parts Catalog. Service (workshop) Manual. Operator's Instruction Manual. 3701031 TLT 25G Teletruk JCB TLT 25G Teletruk. Spare Parts Catalog. Service (workshop) Manual. Operator's Instruction Manual. 3701032 TLT 30D Teletruk JCB TLT 30D Teletruk. Spare Parts Catalog. Service (workshop) Manual. Operator's Instruction Manual. 3701033 TLT 30G Teletruk JCB TLT 30G Teletruk. Spare Parts Catalog. Service (workshop) Manual. Operator's Instruction Manual. 3701034 TLT 35D Teletruk JCB TLT 35D Teletruk. Spare Parts Catalog. Service (workshop) Manual. Operator's Instruction Manual. 3701036 LIFTALL 1202 JCB LIFTALL 1202 Liftall. Spare Parts Catalog. Service (workshop) Manual. Operator's Instruction Manual. 3701037 LIFTALL 1253 JCB LIFTALL 1253 Liftall. Spare Parts Catalog. Service (workshop) Manual. Operator's Instruction Manual.